Our cheeks and cheekbones are an important element of our facial beauty. Well defined cheeks improve our facial profile and are a symbol of youth. Loosing volume around the cheek area can add to the appearance of a hollow mid face, and enhance the nose to mouth lines (nasolabial folds) and darkening of the under eye area (tear troughs). 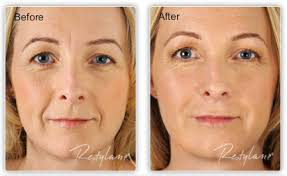 Restylane® and Juvederm®, manufacture hyaluronic acid based fillers to enhance and restore lost volume to the cheeks. Restylane Lyft is a hyaluronic acid gel filler used to add shape and definition to your facial contours, lasting up to 12 months. Juvederm Voluma XC is a hyaluronic acid gel that is specifically designed to add volume to the cheeks. Mid-face volume loss in the cheeks causes much of the ageing in the face. The injectable gel improves volume and restores the contour of the cheeks resulting in a more youthful appearance. Results can last for up to two years. Adding just 0.5ml of Juvederm Voluma to each cheek can have a dramatic effect.